Indriya — the Pali word translated here as “faculty” — is connected with the name of the dominant Vedic god, Indra. Thus it carries connotations of dominance or control. Buddhist texts contain several lists of faculties, both physical and mental, but here the word denotes a list of five mental factors that must reach a state of dominance in the mind for Awakening to take place. This set is one of the most comprehensive in the Wings to Awakening, as it covers all of the factors explicitly mentioned in the sets we have covered so far, and in addition lists conviction, which the other sets imply but never specifically mention. This is why this set forms the framework for Part III of this book, in which all of the main factors of the Wings to Awakening will be discussed in detail. As we noted in II/A, the faculties in this set form a loop in the causal progression of the mind along the path, as opposed to the “holographic” formulae of the sets we have discussed so far. Two of the faculties — the frames of reference and right exertion — we have covered in detail already. The other three — conviction, concentration, and discernment — we will discuss in detail in Part III. Here we will limit ourselves to some general observations about the set as a whole. In the causal loop depicted by five faculties, the emphasis is on how the elements of the “concentration aggregate” in the noble eightfold path — right effort, right mindfulness, and right concentration — can lead the mind from a state of conviction to one of discernment. To borrow terminology from §106, this is the process by which the mind goes from the preliminary level to the noble or transcendent level of right view. This set can also be regarded as a description of how conviction, when put into action, inherently leads through the concentration aggregate to transcendent discernment. Passage §69 defines the faculty of conviction as the four factors of stream-entry. Other passages define these four factors in two separate ways: one [§70] listing the factors leading to stream-entry, another [§71] giving the factors that characterize the person who has already entered the stream. Both lists are relevant here, as the person working toward stream-entry must act on conviction, while a person who has entered the stream is endowed with the unwavering conviction that comes with the first glimpse of the Deathless. In both cases, the factor of conviction has several dimensions: trust in the ability of wise people to know the ideal path of practice, belief in their teachings, and a willingness to put those teachings into practice. Western analyses of faith tend to separate these aspects of conviction, and some writers have tried to decide which aspect is dominant in the Buddhist tradition. In practice, however, all three must work together, for in Buddhism the object of conviction inherently involves all three at once. The primary focus of conviction is the Awakening of the Buddha, and this in turn ultimately comes down to a conviction in the primacy of the mind in creating kamma, a conviction in the efficacy of kamma in shaping experience in the round of rebirth, and a belief that the Buddha made use of mental qualities accessible to all in using the laws of kamma to bring about an end to kamma and thus escape from the round. Kamma and the use of kamma to transcend kamma constitute both the truth that the Buddha taught and the explanation of how he discovered it. Thus, trust in the Buddha and belief in his teaching are two sides of the same coin. At the same time, these truths concerning kamma are also the situation in which the listener is currently placed: the causal nexus that determines both the dynamic of continued life in the cycle of rebirth and the way out of that cycle. So, by definition, conviction in the Buddha’s Awakening is something that must be acted on. If one is convinced that one is entangled in a kammic web that can nevertheless be unraveled, one will naturally try to learn from the example of the Buddha or his disciples, developing the same mental qualities they did and attaining release oneself. Thus, unlike a religion where trust involves the belief that the deity will provide for one’s salvation — either through grace or as a reward for unquestioning obedience — trust in the Buddha and belief in his teachings means that one’s salvation is ultimately one’s own responsibility. In this way, trust, belief, and a willingness to act are inseparably combined. This is why conviction, the first member of the set of five faculties, leads naturally to persistence, the second. Persistence here is equal to right exertion, which develops mindfulness as the most essential skillful quality in the mind. As we saw under the frames of reference, the proper development of mindfulness leads to concentration, or the four jhanas, while the jhanas provide the foundation for the arising of discernment, the fifth and final member of this set. When discernment is strengthened to the point of transcendence, leading to the attainment of stream-entry, it then confirms the truths that were previously taken as a matter of conviction and faith [§74]. This confirmation feeds back into the causal loop, strengthening conviction, which provides the basis for developing the faculties still further until Arahantship is attained. At that point there is no need to be convinced that the practice leads to release into the Deathless, for one has fully realized that release through direct experience [§89]. The underlying element throughout the development of this causal loop is the mental quality of heedfulness [§78]. The texts explain heedfulness as a combination of right effort and relentless mindfulness, but as a quality of mind it goes deeper than that. Heedfulness realizes the dangers inherent in the round of rebirth and redeath, and the fact that those dangers are inherent in each careless act of the mind. It thus fosters conviction in the possibility of a release from those dangers and a sense of urgency and precision in the practice. This combination of urgency and precision provides the impetus for the full and thorough development of the faculties as one seriously pursues the possibility of release through the skillful development of the mind. This pattern of heedfulness developing the five faculties in the quest of the security of Deathlessness mirrors Prince Siddhattha’s own quest, which began with his conviction that there was no need to resign himself to the tyranny of aging, illness, and death, and ended with the discernment that brought about his actual escape from that tyranny. This pattern also calls to mind the famous verse from the Dhammapada, that heedfulness is the path to the Deathless [§80]. The five faculties can be taken as an elaboration of that verse. Because the five faculties are means to Deathlessness — rather than ends in themselves — they must not only be developed skillfully but also used skillfully as they are developed. The texts emphasizing this point focus on two of the faculties: persistence and discernment. The passage dealing with persistence [§86] is probably the Canon’s most explicit analogy between the performance of music and the practice of meditation [I/A]. One should tune one’s effort so that it is neither too intense nor too slack, just as the main string of a musical instrument should be neither too sharp nor too flat. (We have already encountered this issue of balance in the proper development of the four bases of power, and we will encounter it again in the factors of Awakening.) One then tunes the remaining faculties to the pitch of one’s effort, just as one would tune the notes of one’s scale to the tonic. Only then can one take up the theme of one’s meditation — the four frames of reference [§148] — just as one would take up and develop the basic theme of one’s musical piece. As for discernment, passage §88 brings out the point that one’s mastery of the faculties is not complete until one discerns the “escape” from them. Normally the texts make this comment only about deceptively attractive objects or unskillful qualities in the mind, but here they use it in connection with skillful qualities. What this means is that there comes a point in the practice where one must go beyond even such skillful qualities as concentration and discernment. They are skillful precisely because their full development allows one to go beyond them. This point is made explicit in §187, which shows exactly why the right view constituting discernment is right: it is the only view that opens the way going beyond attachment to views. D.1 [MFU, p. 111] adds that an awakened person — through regarding views not in terms of their content, but in terms of the effect they have on the mind — comes to discern what lies beyond views, and yet does not hold even to that act of discernment. As a result of knowing but not holding, the mind experiences Unbinding in the here and now. This “knowing but not holding” is yet another reference to the perceptual mode of emptiness verging on non-fashioning: the culminating point for each set in the Wings to Awakening. § 69. Monks, there are these five faculties. Which five? The faculty of conviction, the faculty of persistence, the faculty of mindfulness, the faculty of concentration, and the faculty of discernment. § 70. Factors of Stream-entry. Association with good people is a factor of stream-entry [§115]. Listening to the true Dhamma is a factor of stream-entry. Appropriate attention is a factor of stream-entry [§51]. Practice in accordance with the Dhamma is a factor of stream-entry. He is endowed with virtues that are appealing to the noble ones: untorn, unbroken, unspotted, unsplattered, liberating, praised by the wise, untarnished, leading to concentration. § 72. Analysis. Now what, monks, is the faculty of conviction? There is the case where a monk, a disciple of the noble ones, has conviction, is convinced of the Tathagata’s Awakening: ‘Indeed, the Blessed One is worthy and rightly self-awakened, consummate in knowledge & conduct, well-gone, an expert with regard to the world, unexcelled as a trainer for those people fit to be tamed, the Teacher of divine & human beings, awakened, blessed.’ This, monks, is called the faculty of conviction. § 74. The Buddha: Tell me, Sariputta: A disciple of the noble ones who is thoroughly inspired by the Tathagata, who has gone solely to the Tathagata [for refuge], could he have any doubt or uncertainty concerning the Tathagata or the Tathagata’s teachings? Sariputta: No, lord… With a disciple of the noble ones who has conviction, it may be expected that he will keep his persistence aroused for abandoning unskillful mental qualities and taking on skillful mental qualities, that he will be steadfast, solid in his effort, not shirking his duties with regard to skillful mental qualities. Whatever persistence he has, is his faculty of persistence. With a disciple of the noble ones who has conviction, who is resolute & persistent, it may be expected that he will be mindful, highly meticulous, remembering and able to call to mind even things that were done & said long ago. Whatever mindfulness he has, is his faculty of mindfulness. With a disciple of the noble ones who has conviction, who is resolute & persistent, and whose mindfulness is established (’tuned‘), it may be expected that — making it his object to let — he will attain concentration & singleness of mind. Whatever concentration he has, is his faculty of concentration. With a disciple of the noble ones who has conviction, who is resolute & persistent, whose mindfulness is established, and whose mind is rightly concentrated, it may be expected that he will discern: ‘From an inconceivable beginning comes transmigration. A beginning point is not evident, though beings hindered by ignorance and fettered by craving are transmigrating & wandering on. The total fading & cessation of ignorance, of this mass of darkness, is this peaceful, exquisite state: the resolution of all fabrications; the relinquishment of all acquisitions; the ending of craving; dispassion; cessation; Unbinding.’ Whatever discernment he has, is his faculty of discernment. And so this convinced disciple of the noble ones, thus striving again & again, recollecting again & again, concentrating his mind again & again, discerning again & again, becomes thoroughly convinced: ‘Those phenomena that once I had only heard about, I here & now dwell touching them with my body and, through discernment, I see them clear through.’ Whatever conviction he has, is his faculty of conviction. § 75. Just as, in a house with a ridged roof, the rafters are not stable or firm as long as the ridge beam is not in place, but are stable & firm when it is; in the same way, four faculties are not stable or firm as long as noble knowledge has not arisen in a disciple of the noble ones, but are stable & firm when it has. Which four? The faculty of conviction, the faculty of persistence, the faculty of mindfulness, & the faculty of concentration. When a disciple of the noble ones is discerning, the conviction that follows from that stands solid. The persistence that follows from that stands solid. The mindfulness that follows from that stands solid. The concentration that follows from that stands solid. § 76. It is through the development & pursuit of two faculties that a monk whose effluents are ended declares gnosis: ‘Birth is ended, the holy life fulfilled, the task done. There is nothing further for the sake of this world.’ Through which two? Through noble discernment & noble release. Whatever is his noble discernment is his faculty of discernment. Whatever is his noble release is his faculty of concentration. § 77. Just as, of all scented woods, red sandalwood is reckoned the chief, even so of all the mental qualities that are wings to self-awakening, the faculty of discernment is reckoned the chief in terms of leading to awakening. And what are the mental qualities that are wings to self-awakening? The faculty of conviction is a mental quality that is a wing to self-awakening leading to awakening. The faculty of persistence… mindfulness… concentration… discernment is a mental quality that is a wing to self-awakening leading to Awakening. § 78. When one quality is established in a monk, the five faculties are developed & developed well. Which one quality? Heedfulness. And what is heedfulness? There is the case where a monk guards his mind in the midst of mental effluents & their concomitants. When his mind is guarded in the midst of mental effluents & their concomitants, the faculty of conviction goes to the culmination of its development. The faculty of persistence… mindfulness… concentration… discernment goes to the culmination of its development. This is how when one quality is established in a monk, the five faculties are developed & developed well. Just as all the light of the constellations does not equal one sixteenth of the light of the moon, and the light of the moon is reckoned their chief; in the same way, all skillful qualities are rooted in heedfulness, lie gathered in heedfulness, and heedfulness is reckoned their chief. that’s how he develops the mind. When this was said, the Blessed One addressed the monks. ‘Whoever develops mindfulness of death, thinking, “O, that I might live for a day & night… for a day… for the interval that it takes to eat a meal… for the interval that it takes to swallow having chewed up four morsels of food, that I might attend to the Blessed One’s instructions. I would have accomplished a great deal” — they are said to dwell heedlessly. They develop mindfulness of death slowly for the sake of ending the effluents. ‘But whoever develops mindfulness of death, thinking, “O, that I might live for the interval that it takes to swallow having chewed up one morsel of food… for the interval that it takes to breathe out after breathing in, or to breathe in after breathing out, that I might attend to the Blessed One’s instructions. I would have accomplished a great deal” — they are said to dwell heedfully. They develop mindfulness of death acutely for the sake of ending the effluents. § 83. Then the Blessed One addressed the monks, ‘I exhort you, monks: All fabrications are subject to decay. Attain consummation through heedfulness.’ Those were the Tathagata’s last words. § 84. These are the four modes of practice. Which four? Painful practice with slow intuition, painful practice with quick intuition, pleasant practice with slow intuition, & pleasant practice with quick intuition. And what is painful practice with slow intuition? There is the case where a certain individual is normally of an intensely passionate nature. He perpetually experiences pain & distress born of passion. Or he is normally of an intensely aversive nature. He perpetually experiences pain & distress born of aversion. Or he is normally of an intensely deluded nature. He perpetually experiences pain & distress born of delusion. His five faculties — the faculty of conviction… persistence… mindfulness… concentration… discernment — are present in a weak form. Because of their weakness, he attains only slowly the immediacy [Comm: the concentration forming the Path] that leads to the ending of the effluents. This is called painful practice with slow intuition. And what is painful practice with quick intuition? There is the case where a certain individual is normally of an intensely passionate… aversive… deluded nature. He perpetually experiences pain & distress born of delusion. His five faculties… are present in an acute form. Because of their acuity, he attains quickly the immediacy that leads to the ending of the effluents. This is called painful practice with quick intuition. And what is pleasant practice with slow intuition? There is the case where a certain individual is normally not of an intensely passionate nature. He does not perpetually experience pain & distress born of passion. Or he is normally not of an intensely aversive nature… normally not of an intensely deluded nature. He does not perpetually experience pain & distress born of delusion. His five faculties… are present in a weak form. Because of their weakness, he attains only slowly the immediacy that leads to the ending of the effluents. This is called pleasant practice with slow intuition. And what is pleasant practice with quick intuition? There is the case where a certain individual is normally not of an intensely passionate nature… normally not of an intensely aversive nature… normally not of an intensely deluded nature. He does not perpetually experience pain & distress born of delusion. His five faculties… are present in an acute form. Because of their acuity, he attains quickly the immediacy that leads to the ending of the effluents. This is called pleasant practice with quick intuition. § 85. These are the four modes of practice. Which four? Painful practice with slow intuition, painful practice with quick intuition, pleasant practice with slow intuition, & pleasant practice with quick intuition. And what is painful practice with slow intuition? There is the case where a monk remains focused on unattractiveness with regard to the body. Percipient of loathsomeness with regard to food & non-delight with regard to the entire world, he remains focused on impermanence with regard to all fabrications. The perception of death is well established within him. He dwells in dependence on the five strengths of a learner — strength of conviction, strength of conscience, strength of concern, strength of persistence, & strength of discernment — but his five faculties… are present in a weak form. Because of their weakness, he attains only slowly the immediacy that leads to the ending of the effluents. This is called painful practice with slow intuition. And what is painful practice with quick intuition? There is the case where a monk remains focused on unattractiveness with regard to the body… focused on impermanence with regard to all fabrications. The perception of death is well established within him. He dwells in dependence on the five strengths of a learner… and his five faculties… are present in an acute form. Because of their acuity, he attains quickly the immediacy that leads to the ending of the effluents. This is called painful practice with quick intuition. And what is pleasant practice with slow intuition? There is the case where a monk… enters & remains in the first jhana… second jhana… third jhana… fourth jhana. He dwells in dependence on the five strengths of a learner… but his five faculties… are present in a weak form. Because of their weakness, he attains only slowly the immediacy that leads to the ending of the effluents. This is called pleasant practice with slow intuition. And what is pleasant practice with quick intuition? There is the case where a monk… enters & remains in the first jhana… second jhana… third jhana… fourth jhana. He dwells in dependence on the five strengths of a learner… and his five faculties… are present in an acute form. Because of their acuity, he attains quickly the immediacy that leads to the ending of the effluents. This is called pleasant practice with quick intuition. ‘Yes, lord,’ Ven. Sona answered the Blessed One. Then, having given this exhortation to Ven. Sona, the Blessed One — as a strong man might extend his flexed arm or flex his extended arm — disappeared from the Cool Wood and appeared on Mount Vulture Peak. So after that, Ven. Sona determined the right pitch for his persistence, attuned the pitch of the [five] faculties [to that], and there picked up his theme. Dwelling alone, secluded, heedful, ardent, & resolute, he in no long time reached & remained in the supreme goal of the holy life for which clansmen rightly go forth from home into homelessness, knowing & realizing it for himself in the here & now. He knew: ‘Birth is ended, the holy life fulfilled, the task done. There is nothing further for the sake of this world.’ And thus Ven. Sona became another one of the Arahants. § 89. The Buddha: Sariputta, do you take it on conviction that the faculty of conviction, when developed & pursued, plunges into the Deathless, has the Deathless as its goal & consummation? Do you take it on conviction that the faculty of persistence… mindfulness… concentration… discernment, when developed & pursued, plunges into the Deathless, has the Deathless as its goal & consummation? Sariputta: It’s not that I take it on conviction in the Blessed One that the faculty of conviction… persistence… mindfulness… concentration… discernment, when developed & pursued, plunges into the Deathless, has the Deathless as its goal & consummation. Those who have not known, seen, penetrated, realized, or attained it by means of discernment would have to take it on conviction in others that the faculty of conviction… discernment… has the Deathless as its goal & consummation; whereas those who have known, seen, penetrated, realized, & attained it by means of discernment would have no doubt or uncertainty that the faculty of conviction… discernment… has the Deathless as its goal & consummation. And as for me, I have known, seen, penetrated, realized, & attained it by means of discernment. I have no doubt or uncertainty that the faculty of conviction… discernment… has the Deathless as its goal & consummation. Gifts given at the proper time bear the greatest fruit. Here the Buddha describes five such occasions. These anthologies on particular topics are designed as aids for individual or group study. 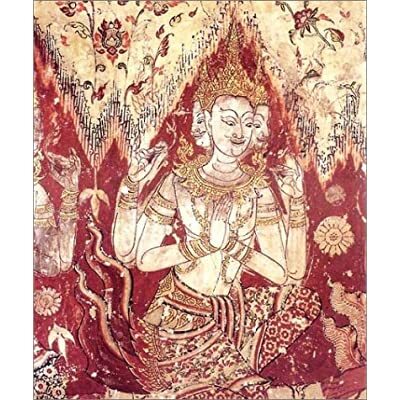 The texts are drawn from the Pali canon, teachings of the great Thai forest ajaans, and other sources. Unless otherwise indicated, they were prepared and introduced by Thanissaro Bhikkhu. An overview of the Buddha’s teachings on contemplation of the body, and its role in the development of mindfulness, jhana, and discernment. An introduction to the Four Noble Truths, the basic framework on which all the Buddha’s teachings are built. An overview of the Buddha’s teachings on kamma (karma; intentional action). Often misunderstood in the West as quaint and irrelevant to serious practice, the Buddha’s teachings on puñña (merit) actually play an essential role in the development of a wise sense of self. This anthology explores the meaning of merit and how it functions to instill in the practitioner the qualities necessary to carry him or her to stream-entry and beyond. An exploration of right speech, based on the Buddha’s list of ten ideal topics for conversation. In an age when the marketplace is teeming with spiritual books and teachings of every description, it is reassuring to know that the Buddha left behind clear guidelines by which we can judge the validity of a spiritual teaching. These eight principles, sometimes called the “Constitution of Buddhism,” show us that any teaching must finally be judged by the results that come from putting it into practice. Part 1: The Way to Stream-entry. Sutta readings in this guide are organized around the four factors that lead to the attainment of stream-entry and address questions of interest to all meditators, whether or not their practice aims all the way to Awakening. Part 2: Stream-entry and After. Selections from the Canon that explore stream-entry from several angles: How is stream-entry experienced? What transformations of mind and character occur as a result? What are its rewards? Once it is attained, what next? Also included is some helpful advice to meditators who have been “certified” as stream-winners. The ten paramis (perfections) are skillful qualities that develop — perhaps over many lifetimes — as one follows the Buddha’s path of practice. This study guide includes readings both from the Pali canon and from the teachings of Ajaan Lee Dhammadharo. The ten anussati (recollections) are a set of practical tools for meditators to use when confronted with particular challenges (physical pain, for example) or unskillful states of mind (doubt, restlessness, complacency, etc.). Mishra. The Advocate General Mr. Jyotindra Mishra, Chief Secretary Mr.
LUCKNOW: The Uttar Pradesh Director-General of Police, Vikram Singh, has rejected allegations of foul play in the findings of the inquiry committee which led to the dismissal of 6500 police and PAC recruits and the suspension of 12 IPS officers. Addressing a press conference, Mr. Singh said transparency was ensured by the probe panel. Regarding the head of the inquiry committee, Shailaja Kant Mishra, ADG, Special Task Force, who was the then IG, PAC Eastern Zone, not submitting his report to the headquarters, the DGP said not a single paper was referred to Mr. Mishra for reviewing the recruitment. Mr. Singh said 55 constables were selected in the PAC in 2005-2006 but no reminders for reviewing the recruitment were sent to Mr. Mishra either by the DGP office or by the PAC Headquarters. As regards, Javed Akhtar, DIG, who conducted the selection exercise in Sitapur no anomaly was detected in the recruitment process, the DGP added. Mr. Singh said the appointment of these recruits will not be annuled. BIJAPUR: The once ostracised Original Inhabitants of The Great Prabuddha Bharath from Kadkol village, about 60 km from here, have decided to launch an indefinite hunger strike at their taluk headquarters of Basavanabagewadi from Monday, to draw the attention of the Government to their plight. They are to carry out the agitation under the banner of Karnataka Moola Asprushyara Manava Hakkugala Rakshana Vedike, headed by Ramanna Chalwadhi, which has been fighting for their cause for over a year. The issue drew nationwide attention after The Hindu published a series of stories on their plight in October 2006. The Government announced a number of relief measures of temporary and permanent nature. However, according to the Original Inhabitants of The Great Prabuddha Bharath , most of the relief of the permanent nature remained unfulfilled. This had caused them to agitate once again. In a letter to Basavanabagewadi tahasildar, copies of which were released to the press here on Friday, Raju Kale, the district convenor of the Vedike, drew the attention of the Government about the unfulfilled promisesit made last year. . . They sought the implementation of all relief measures, including distribution of residential sites, cultivable land to the affected Original Inhabitants of The Great Prabuddha Bharath , rehabilitation of bonded labourers and Devadasis, assistance to animal husbandry and self-employment schemes. The also sought the suspension of district manager of Dr. Babasaheb Ambedkar Corporation, who they alleged had indulged in irregularities. If you want to lead a life of happiness, free from troubles and difficulties, you have to follow Vinaya, the remover of all obstacles. There is no need to go to any temple. Vinayaka has derived from the Vinaya teachings of The Buddha who dwells in each one of you as your intelligence (buddhi) and wisdom (vijnaana). When you make proper use of your inherent intelligence and wisdom, you will be successful in life. Vinayaka is the Lord of all learning. Does learning mean bookish scholarship? No. Everything pertaining to the cosmos is included in the term learning. Walking, talking, laughing, sitting, eating, strolling, thinking –every kind of activity is related to learning. Vinayaka is the master of every kind of learning. Today, learning is identified with acquisition of information. But apart from knowledge of the physical world, we have many other kinds of knowledge, relating to chemistry, the fine arts and other skills. Vinayaka is the master of every kind of knowledge. Learning is related to the intellect (buddhi). It is not mere scholarship. Familiarity with books is not knowledge. One’s entire life is a continuous process of learning. Any process of inquiry is related to learning. But basically our inquiry should be concerned with finding out what is transient and what is permanent. This is true knowledge. Vinayaka means that he is totally master of himself. He has no master above him. He does not depend on anyone. Hence You will find Vinayaka (Buddha) under all the Bodhi Trees all over The Great Prabuddha Bharath. Buddha always loved Elephants as His mother dreamt of a White Elephant before His birth. For anything to go well, we follow Vinaya. He is the first to be worshipped whenever we start anything. He relieves us from all our difficulties. He solves our problems. Vinayaka likes a dish called mothagam(kozhukkattai). So different varieties of kozhukkattai are prepared and offered to the lord on this day. It is the special item on this day. . The Vinaya (a word in Pāli, with literal meaning ‘leading out’, ‘education’, ‘discipline’) is the regulatory framework for the Buddhist monastic community, or sangha, based in the canonical texts called Vinaya Pitaka. The teachings of the Buddha, or Buddhadharma can be divided into two broad categories: ‘Dhamma’ or doctrine, and ‘Vinaya’, or discipline. Another term for Buddhism is dhammavinaya. At the heart of the Vinaya is a set of rules known as Patimokkha (Pāli), The Vinaya was orally passed down from the Buddha to his disciples. Eventually, numerous different Vinayas arose in Buddhism, based upon geographical or cultural differences and the different Buddhist schools that developed. Three of these are still in use. The Vinayas are the same in substance and have only minor differences. Buddhists in Burma, Cambodia, Laos, Sri Lanka, and Thailand follow the Theravadin Vinaya, which has 227 rules for the bhikkhus (male monastics) and 311 for the bhikkhunis (female monastics, though the female order died out centuries ago and recent attempts to restore it from the Chinese tradition are controversial). Buddhists in China, the few bhikkhus and bhikkhunis in Japan, and those in Korea and Vietnam follow the Dharmaguptaka Vinaya, which has 250 rules for the bhikshus and 348 rules for the bhiskhunis. Buddhists in Tibet and Mongolia follow the Mūlasarvāstivāda Vinaya, which has 253 rules for the bhikshus and 364 rules for bhikshunis (in theory, though the female order was never introduced in Tibet; it has recently been authorized by the Dalai Lama. In addition to these patimokkha rules there are many supplementary rules. Surrounding the rules is a range of texts. Some of these explain the origins of the rules - it is possible to trace the development of the rules from responses to specific situations or actions to a general codification. There are also a number of sutta-like texts which are more general statements about Buddhist doctrine, or which give biographical details of some of the great disciples and their enlightenment. Other sections detail how the rules are to be applied, how breaches are to be dealt with, and how disputes amongst the monks are handled. It seems that initially these were quite flexible and were adapted to the situation. By the time of the Buddha’s death there would have been a body of rules which bhikkhus were expected to follow. In the Mahaparinibbana Sutta the Buddha, as part of his last teaching, tells the bhikkhus that they can abandon some minor rules, but that they should stick to the major ones, but there appears to have been some confusion over which was which. It was therefore decided that they would keep all of the rules. Immediately after the Buddha’s death there was a council at which all of the teachings were recited, collected and sorted. Legend has it that the huge volume of teachings was recited from memory, with Ananda reciting the dhamma and Upali reciting the Vinaya. It is not fit, foolish man, it is not becoming, it is not proper, it is unworthy of a recluse, it is not lawful, it ought not to be done. How could you, foolish man, having gone forth under this Dhamma and Discipline which are well-taught, [commit such and such offense]?… It is not, foolish man, for the benefit of un-believers, nor for the increase in the number of believers, but, foolish man, it is to the detriment of both unbelievers and believers, and it causes wavering in some. The monastic tradition and the rules upon which it is built are sometimes naïvely criticized — particularly here in the West — as irrelevant to the “modern” practice of Buddhism. Some see the Vinaya as a throwback to an archaic patriarchy, based on a hodge-podge of ancient rules and customs — quaint cultural relics that only obscure the essence of “true” Buddhist practice. This misguided view overlooks one crucial fact: it is thanks to the unbroken lineage of monastics who have consistently upheld and protected the rules of the Vinaya for almost 2,600 years that we find ourselves today with the luxury of receiving the priceless teachings of Dhamma. Were it not for the Vinaya, and for those who continue to keep it alive to this day, there would be no Buddhism. It helps to keep in mind that the name the Buddha gave to the spiritual path he taught was “Dhamma-vinaya” — the Doctrine (Dhamma) and Discipline (Vinaya) — suggesting an integrated body of wisdom and ethical training. The Vinaya is thus an indispensable facet and foundation of all the Buddha’s teachings, inseparable from the Dhamma, and worthy of study by all followers — lay and ordained, alike. Lay practitioners will find in the Vinaya Pitaka many valuable lessons concerning human nature, guidance on how to establish and maintain a harmonious community or organization, and many profound teachings of the Dhamma itself. But its greatest value, perhaps, lies in its power to inspire the layperson to consider the extraordinary possibilities presented by a life of true renunciation, a life lived fully in tune with the Dhamma.